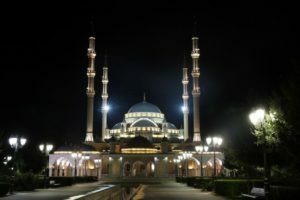 The Heart of Chechnya Mosque is one of the largest mosque in Russia. People also know it as Akhmad Kadyrov Mosque. The name derived from the name of late president and religious figure in Russia. The mosque is equipped with web cameras, placed outside the Mosque, and treams live 24/7. Architect Nikolai Vasilyev built it in 1909-1920 along with engineer S. Krichinsky and the architect A. von Gauguin. It took seven years to work on the interior. After the work finished, the mosque can accommodate up to 5,000 people. As it is an ancient mosque, it does not have bright color. Its color mainly brown. It has 68 meters and 28 meters length from South to North. However, this mosque that still stands until today has bad history. During anti-religious campaign in 1930’s, religious objects were shut down. 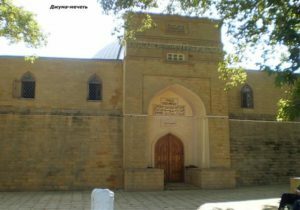 Unlike other religious objects, Juma Mosque was used as prison from 1938 until in 1943, it became mosque again. 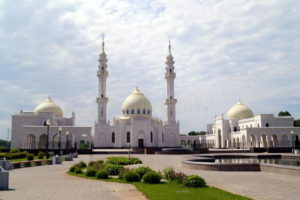 Grand Mosque of Makhachkala is the most spacious mosque in Russia. It can accommodate up to 17,000 people. Russian Moslems built it with funds that came from one of the richest family in Turkey. The construction finished in 1998 and the building received renovation from 2004 until 2007. 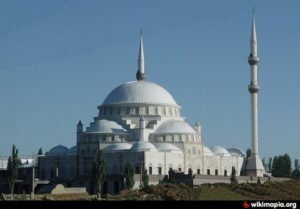 It is the main mosque in the Republic of Dagestan. 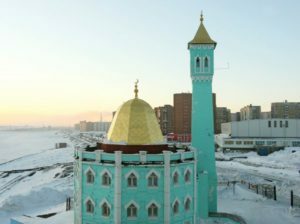 The Nurd Kamal Mosque is in Norilsk, which is an industrial city in northern Siberia. 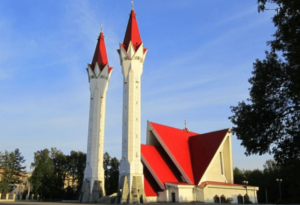 In addition, Guinness Book of Records lists it as the northernmost mosque in the world. Besides, it is the biggest mosque in the city. Tatar native of Norilsk Mukhtad Bekmeyev built the mosque and named it after his father. The idea to build the mosque came from the fact that there was not any mosque in the city. Then, he built it on his family land with the help of local architect Josef Muire, who designed it. Furthermore, British philanthropist Stephen Trantham took part in the construction by providing funds. After the construction, people opened it for prayers in 1998. The architecture differs from traditional mosques. In addition to the touch of Turkish style, it has special climatic conditions of the Far North. People can see it from the shape of dome. Common dome will have a shape of circle as the base. However, Nurd Kamal’s dome has a shape of square as the base. Climatic conditions aside, it has three floors with tapestry covers each floor. Moreover, it has green-bluish color that make people feel calm just by seeing it. The Central Moscow Mosque has the tallest minarets among mosques all over Europe. It has 79-meter high minarets. People also call the mosque as Moscow Cathedral Mosque. In addition to having the tallest minarets in all over Europe, it is the biggest mosques in Russia. Color of the mosque is the combination of gray and green. Those colors add to its elegant and beauty. Government once demolished the building in 2011. After they rebuilt it, it becomes 20 times wider than the previous one. Now, it can accommodate up to 10,000 people. It has seven elevators and air conditioning. Moreover, the building has facilities for disabled people. Sultan Delimkhanov mosque is the biggest rural mosque in Europe. The name derived from the name of Sultan Delimkhanov. Delimkhanov was a village official who was murdered in 1990’s. This mosque can accommodate up to 5,000 worshipers. 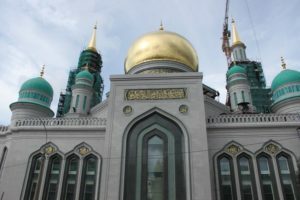 This building becomes one of 10 most unique mosque in Russia due to the fact that it can accommodate such number of people although it is located in rural area. The Bulgar Mosque in Kazan is mostly painted in white and is the only white mosque in Russia. The mosque is constructed to commemorate the 1100th year anniversary of the Islamification of Volga-Bulgaria. Then, the construction finished in 1993 and is opened for prayers. The mosque keeps largest Quran. It is covered with jade, gold, phyanite and silver leaf. 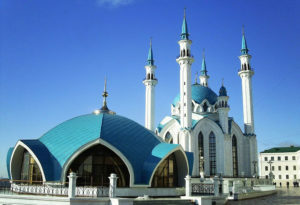 Lala Tulpan mosque is one of the largest mosque in Russia, in addition to have modernist design. Lala Tulpan means Tulip in bloom. Wakil Davlyatshin built it between 1990 and 1998 in a modernist design. It has 53-meter high twin minarets that stand apart from the main building. 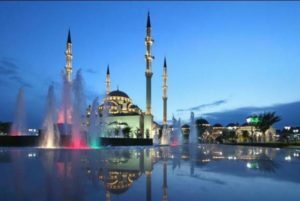 Those are 10 most unique mosque in Russia. 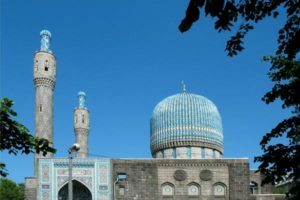 You may also want to check other articles related to Muslims, such as History of Muslim culture and several Facts of Muslim Women in Russia.